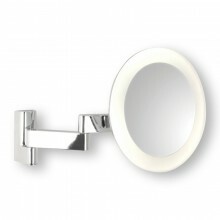 A contemporary magnifying bathroom mirror that will provide that essential finishing touch to any bathroom. 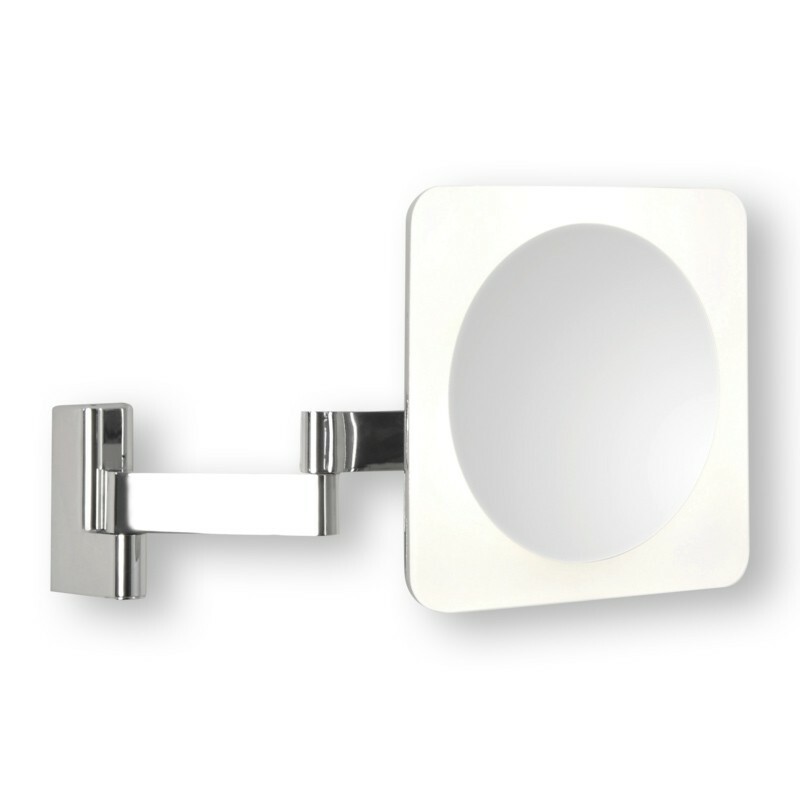 Based on a stylish polished chrome bracket it has a surround with a smooth sandblasted white acrylic finish which gracefully offsets the central circular mirror. The mirror gives a powerful five times magnification illuminated by four hi-powered LEDs, providing excellent visibility. The product also includes an integral switch and an integral LED driver. Its IP44 rating means that it can safely be used in bathroom zones 2 and 3.